The Nierman team and educational faculty of industry leaders share an incredible passion for providing the education, tools and support throughout all stages of implementation. Nierman Practice Management (NPM) is headed to Washington D.C., July 11 to 12th, 2014 with their 2-day seminar series, “Successful Implementation of Dental Sleep Medicine.” NPM’s continuing education seminar provides dentists with the latest clinical research, as well as practical implementation guidelines. There will be a dedicated breakout session led by NPM’s billing expert, Janice Franchak, to help dental administrators navigate the protocols, documentation and reporting and codes needed for successful medical billing. The Nierman team and educational faculty of industry leaders share an incredible passion for providing the education, tools and support throughout all stages of implementation. 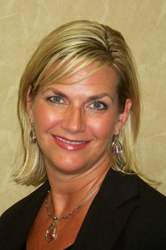 The main speaker for the Washington D.C. seminar will be Dawne Slabach, DDS, a practicing dentist from Worthington, Ohio. Dr. Slabach limits her practice to temporomandibular joint (TMJ) disorders, dental sleep medicine and orthodontics. When asked why she decided to incorporate DSM into her practice Dr. Slabach had this to say, “I realized over 10 years ago that many of my patients were struggling to breathe during sleep and this was the missing link in so many of my TMJ cases. Because we as dentists see our patients at least twice a year and have team members who can spend more time than their physicians typically do, we are in a prime position to identify those at risk and possibly offer a life-changing and even life-saving option for therapy. This is truly the most rewarding part of my practice." The value dentists receive from an educational seminar should go far beyond a weekend course. It’s important that attendees gain access to an ongoing support network of dedicated industry experts and NPM provides that to all dental practices attending the seminar series. NPM has also teamed up with some of the leading companies in the industry. During the seminars, attendees will be able to try a variety of home sleep studies and view a wide range of oral appliances for the treatment of OSA. Successful Implementation of Dental Sleep Medicine seminars are accredited with the AGD PACE and ADA CERP programs and offers 16 CE credits. If you are unable to make Washington D.C. click here to view the comprehensive list of NPM seminars for 2014. For over 26 years, Nierman Practice Management has been perfecting the art of educating dentists and their staff on billing medical insurance and integrating treatment for TMD & sleep apnea into busy dental practices.